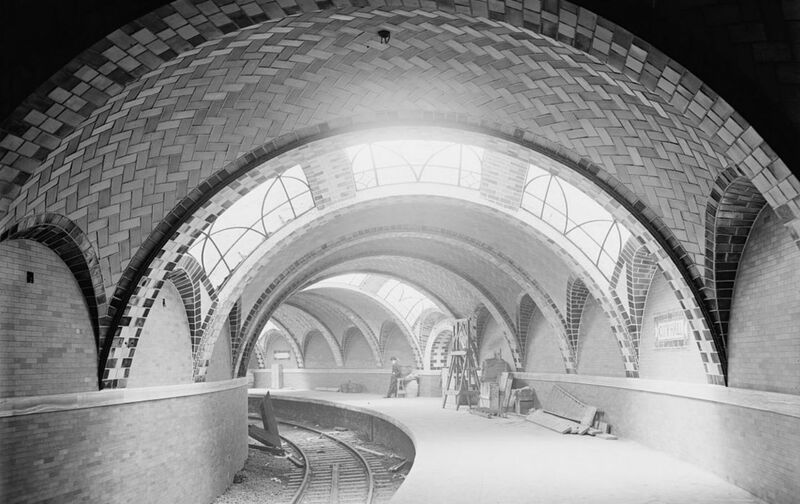 The New York City subway system opened on this day in 1904, and though The Nation called it but a “slight transit improvement,” the city has, of course, never been the same since. The following editorial note highlighting the event appeared in the Nation of November 3, 1904. The subway opened last week adds to our habitable area territory at least ten times the size of Manhattan Island itself. The bearing of this upon social conditions can hardly be overestimated. Our tenement system at its worst has its basis in unchecked human greed, and only curbing legislation such as the new tenement law can stop it. But its peculiarity is that it comprehends all classes except the very rich, so that private dwellings have ceased to be built on Manhattan Island, less than 100 going up last year. With the new transit system, however, the man of moderate means will no longer be inevitably forced into five or six ridiculously high-priced and ill-ventilated rooms. At present, residential property within thirty minutes of the City Hall is valued at from $20,000 to $30,000 a lot; the new transit system, however, will ultimately bring into the same time limit an abundance of lots valued at $1,000, $2,000, and $3,000. Its effect is already illustrated in the movement of the Jewish population. Thousands of East Side families have moved up into the sections of Harlem penetrated by the new railroad. Great preparations are already under way to build up for their accommodation vast areas which have lain waste for years, but which are now brought within the hinterland of the subway. How a slight transit improvement impels the people from the flat to the one-family house is evident from the great growth of South Brooklyn since the trolleys crossed the bridge. Living conditions on Manhattan are not to be radically changed, for nearly all the vacant land is occupied and its great growth in population will keep up land values. But the subway will enormously increase the residential area, and give the city elbow room.